The annual Mental Health and Capacity Law conference takes place on Saturday 6 April at Brookfield Health Sciences Complex, UCC. This conference is jointly hosted by the Centre for Criminal Justice & Human Rights, School of Law, UCC and the Irish Mental Health Lawyers Association. Topics to be considered will include recent case-law on the Mental Health Act 2001, developments in capacity law and comparative reflections on mental health law in England & Wales. In addition, discussions are continuing on the implications of the Assisted Decision-Making (Capacity) Act 2015, due to be commenced in 2020. The commencement of this Act will further the state’s progress towards implementation of the Convention on the Rights of Persons with Disabilities, which Ireland ratified in 2018. For further information please contact Deirdre Kelleher, deirdrekelleher@ucc.ie or on 021 490 3642. Further Information from Ms Deirdre Kelleher, School of Law, UCC, phone (021) 490 3642, email deirdrekelleher@ucc.ie. 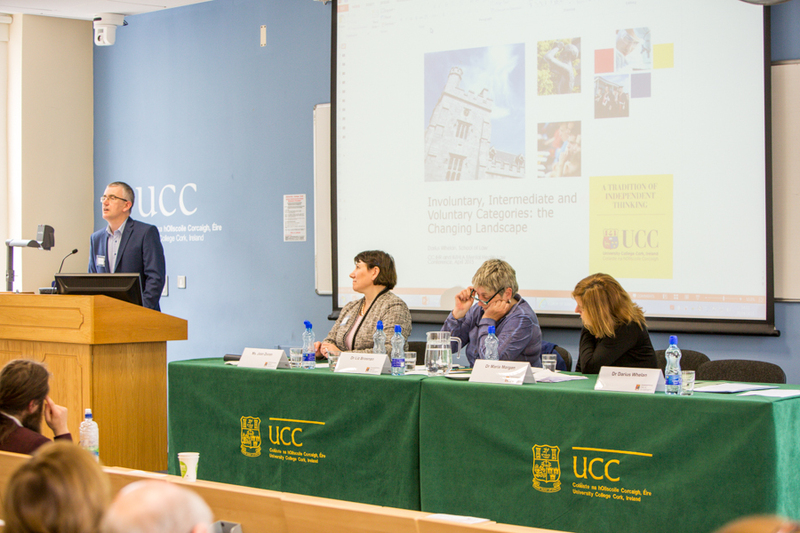 Documents, slides and recordings (screencasts) from the 2017 conference on Mental Health Law, Capacity Law and Deprivation of Liberty, held in University College Cork, are now available here. Slides and videos from the Legal Capacity Conference 2016 are now available. John Neville, Solicitor - Circuit Court Appeals. These are some pictures from our April 2015 conference. Captions appear if you hover over the bottom of the image. Slides from our April 2015 conference are now available - see below. Michael Lynn Slideshare version. Michael Lynn PDF version. Anselm Eldergill Slideshare version. Anselm Eldergill PDF version. Liz Brosnan Slideshare version. Liz Brosnan PDF version. Shari McDaid Slideshare version. Shari McDaid PDF version. Maria Morgan Slideshare version. Maria Morgan PDF version. Darius Whelan Slideshare version. Darius Whelan PDF version. Seminar - Fri, 23rd January, 2015 - "Mental Health and Criminal Law"
This event is a collaboration between The Association of Criminal Justice Research and Development, The Irish Mental Health Lawyers Association and Dublin City University. Venue: Education Centre, Law Society of Ireland, Blackhall Place, Dublin 7. KEYNOTE: "Mental Disorder and Liability to Punishment: Recent English Developments"
"Mental Disorder and Proportionate Punishment"
"Operating The Criminal Law (Insanity) Act: a Legal Practitioner's Perspective"
The event will be chaired by Judge John O'Connor. Please note that online registration is required. To buy your ticket and secure your place, please click here. Attendance certificates for CPD purposes will be issued after the event, on request. 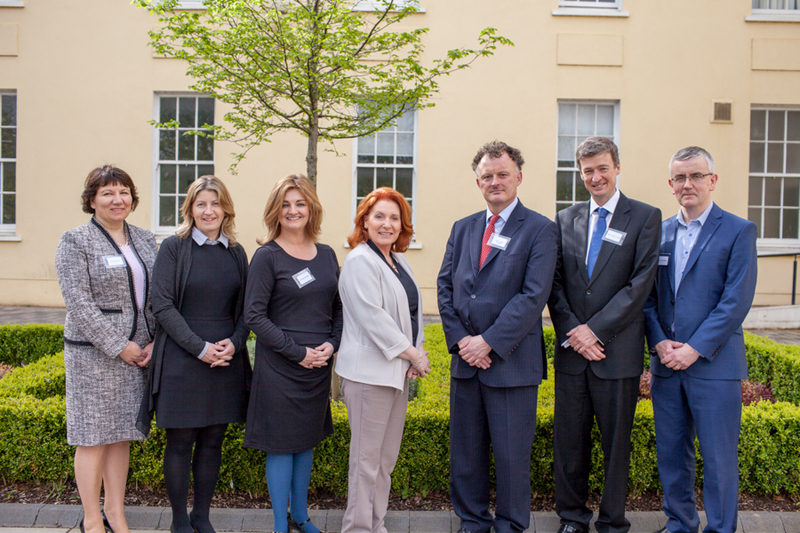 The Irish Mental Health Lawyers Association held a seminar in Dublin in October 2013. Two of the papers are attached below.